Deductible traditional IRA contributions reduce your taxes even if you don't itemize. 1. Can Married Filing Separate Contribute to a Traditional IRA? 3. 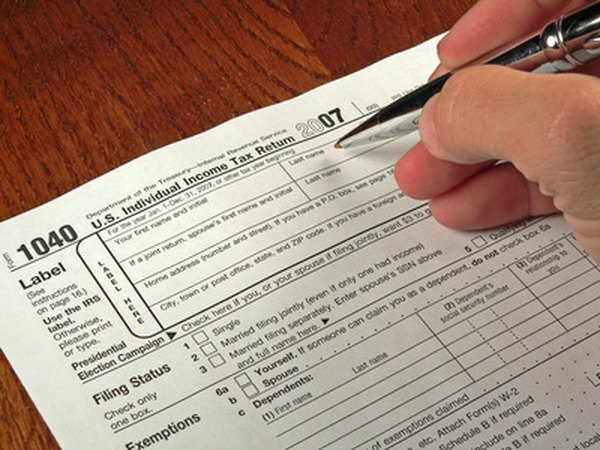 How Much of My IRA Investment Can I Deduct From Taxes? One of the main attractions of using a traditional individual retirement account for retirement savings is the deduction for contributions. Presumably, you'll pay a lower tax rate after retirement when you're no longer working, so the tax deduction now often saves you more than the taxes you will pay later when you withdraw the money. However, you're not always allowed to deduct all of your traditional IRA contributions -- certain maximums and other rules apply. You can't deduct more than your annual contribution limit. The limit changes each year, but as of 2012, you can contribute up to $5,000 if you're under 50 and $6,000 if you're 50 or older. Of course, you have to have at least that much in compensation for the year. Otherwise, your contribution limit is your total compensation. For example, if you only have $3,000 of compensation, you can't contribute more than $3,000 to your traditional IRA. Just as each spouse must have a separate traditional IRA -- there's no such thing as a "joint" IRA -- the contribution limits apply separately. This allows you to effectively double your deduction by having both spouses contribute. For example, if both you and your spouse are over 50 in 2012, you could each contribute up to $6,000, for a total deduction of $12,000. Even if only one spouse works, if you file a joint return the non-working spouse can make a contribution based on the compensation of the working spouse. If either you or your spouse puts money in a retirement plan at work, you might not be able to deduct your traditional IRA contribution, even though you can still contribute. If your modified adjusted gross income exceeds the limits based on your filing status and which spouse is covered, you can't contribute at all. If it falls in the phaseout range, your maximum deduction for your IRA contribution goes down, depending on how close you are to the absolute limit. The limits change annually; you can check Internal Revenue Service Publication 590 for the latest limits. If you fall in the phaseout range, you have to calculate your maximum deduction. First, subtract the lower limit of the phaseout range from your modified adjusted gross income. Next, divide the result by the size of the phaseout range for you filing status. Finally, multiply the result by the annual IRA contribution to find your maximum deduction. For example, say you're 55, your phaseout range is $90,000 to $110,000 and your modified adjusted gross income is $102,000. First, subtract $90,000 from $102,000 to get $12,000. Next, divide $12,000 by $20,000 to get 0.6. Finally multiply 0.6 by $6,000 to find that you can deduct up to $3,600 of your traditional IRA contributions.